I ignored Twitter for the first couple of years of its existence. I was at HP at the time and was aware of the research done by the Social Computing Laboratory (led by by a very smart fellow named Bernardo Huberman) within HP Labs to investigate the impact of micro-blogging on social interaction going back to 2008. Reading those papers now, you realize how far Twitter has come in the interim in terms of volume and impact. The research focused on questions like the difference between followers and friends in “Twitter under the microscope” (in other words, people who simply consume the output of someone versus those who use Twitter to interact with each other). Another research effort looked at what makes a tweet influential, critical information for companies who want to leverage Twitter for the purpose of marketing and sales. All of the research is of terrific interest to people who want to plunge into the minutiae of the media. It probably doesn’t impact the way that the average human looks at Twitter or their desire (or not) to use Twitter. After leaving HP in 2010, I started to play with Twitter as a way to communicate, mostly about progress for projects such as my Exchange 2010 Inside Out book, which I was working on at the time. The leadership at WindowsITPro.com were also keen to encourage greater interaction between authors and readers and asked writers to tweet about articles and other contributions. So I was dragged into the Tweet-o-sphere, or wherever tweets go. Of course, I committed a major faux pas straightaway by not selecting a good Twitter handle. I use @12Knocksinna for a number of reasons far too boring to go into here. I should have picked something that reflected my actual name or interest. But @TonyRedmond was long gone. 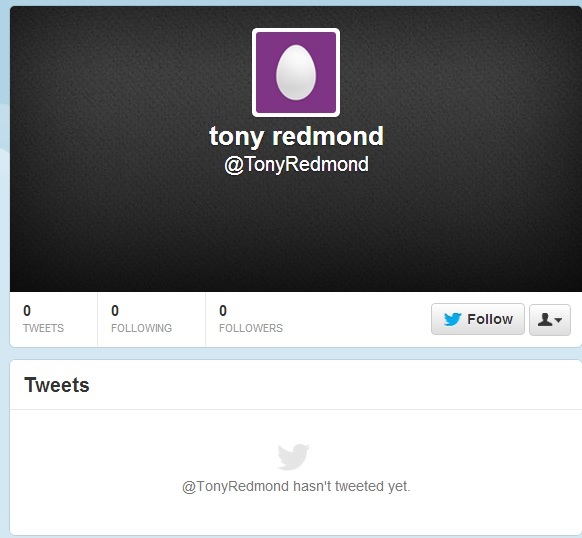 In fact, the account remains unused to this date for some bizarre reason (another fun fact is that there seems to be four Tony Redmond accounts on Twitter). Twitter has not yet made a decision when it will release inactive accounts, but I live in hope. In any case, smarter people like Paul Cunningham and Jeff Guillet had taken the really whizzy handles like @ExchServerPro and @Expta (I still don’t know what the name means, but it sounds exciting). So I ended up with an obscure handle that meant something to me but nothing to anyone else. After getting an account, the next hurdle I faced was to decide how or when to use Twitter. Email remains my primary written communication tool because I’m used to it and it has stood the test of time. No doubt I shall get used to Yammer in time or perhaps it will go the way of tools like Messenger, Lync, and Skype, all of which I use intermittently in specific circumstances. It seems that people use Twitter in very different ways. I have no interest in relating news of my latest bodily function to all and sundry, nor do I care to communicate the details of what can be a boring life. I do not care to become a “me too” tweet-sender who dispatches snippets to their followers that have been sent many times before. The careless and prolific recycling of news clutters up feeds and adds no value. On the other hand, I have no issue with those who retweet something if they can add some insight to the information, which is hard to do given the constraints of the medium. At a business level, I do want to let people know when I have published a new article or have some other (what I think is interesting) news to share. These criteria cover the vast bulk of the tweets I have sent. Occasionally I get pulled into some to-and-fro interaction with people who pick up on something I have tweeted or a response I have sent to one of their tweets, but it’s hard to have a really productive conversation in 140 characters or less. The process was kicked off when a Microsoft MVP (Microsoft Most Valuable Professional – essentially an expert in an area of Microsoft technology) lead sent out some data in October 2012 to list how many followers various Exchange MVPs had. 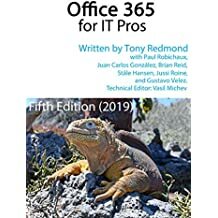 I think the intention behind the email was to encourage the MVPs to tweet more, preferably about the many wonders of Microsoft software, especially Exchange. I ignored that but decided that the data gave me a nice starting point to analyze how people used Twitter so that I could understand its effectiveness in my own context. The data set has been added to since 2012 to include some folks who began tweeting in the interim and to include a benchmark to measure the group against (the redoubtable Scott Schnoll of Microsoft). The data published here is a subset of what I track and is based on information taken from Twitter on January 28, 2014. I’ve invented two measurements. The first is tweets sent per follower, which might indicate how attractive is the information contained in someone’s tweets. Logically, it seems correct that tweets that contain attractive information will result in more followers for the tweeter. Conversely, tweets that are not useful or repeat what others have said are unlikely to gain followers. The second measure is the number of followers per others followed. I was curious whether a decision to follow many people would result in a gain in followers and decided to see what the data said. In general, Twitter and other social networks exhibit high degrees of reciprocity, so if someone follows you, it is likely that you will follow them. This reciprocity is much more pronounced for those who have relatively few followers as they find it easier to recognize new followers and take them step to follow them back. On the other hand, people who gain multiple (more than five) new followers daily probably do not recognize the vast bulk of those who follow them and therefore do not reciprocate. Spam tweeters or false accounts also make for murky waters when it comes to recognizing new followers and deciding whether they are worthwhile following. Paul Cunningham is a tweet animal with three times as many followers as the next MVP. He tweets extensively (on many topics), but the information contained in the tweets is reasonably good as he doesn’t have to tweet a lot to gain new followers. This is in line with the HP research, which found that “the total number of posts increases with both the number of followers” (up to a point where saturation occurs). I guess that point has not been reached yet. His F:F ratio of 12.72 indicates that although he follows many others (499), it doesn’t necessarily mean that he gets followed back. The highest ratio of followers to follows is 35.89 for Anderson Patricio. He doesn’t follow many people and I guess he gains followers through the many articles he writes for msexchange.org. Against that, Steve Goodman has an F:F ratio of 1.33 as he follows 1,336 and has 1,782 followers. Steve also writes for msexchange.org and searchexchange.com, but maybe his warm personality makes him follow others to make them feel good. Or he likes a cluttered feed. Or he has many interests, which would account for the need to follow more. For example, Paul Robichaux has well-documented varied interests outside Exchange (like flying, for instance), so it’s understandable that he follows 665 others. The data for Paul Cunningham also shows that the more followers you have, the greater the growth. He has gained 828 followers since the last measurement, roughly 13 weeks ago. The next best gain in the set is 230. Finally, you can’t underestimate the value of being visible in a good web site in gaining followers, a factor shared by many active tweeters here. Although Paul has gained the most followers in the period, Michael Van Horenbeeck has achieved the greatest percentage gain (24.66%). This is likely due to his involvement in the UC Architects webcast, a factor shared by others in the set who have achieved similar gains (Pat Richard 20.03%, Steve Goodman 8.99%, and Johan Veldhuis 13.75%). So productive and useful activity attracts followers, if they learn about the activity through tweets. I send fewer tweets to gain followers than anyone else in the top 10 (0.75) followed by J. Peter Bruzzese (0.82). Of course I’ll claim that this indicates an extraordinarily high quality of content in the tweets. Neither of us actually send many tweets (1,283 and 1,451) compared to the likes of Steve Goodman (9,023) and Paul Robichaux (11,284), both of whom have to send over 5 tweets to acquire a new follower according to my highly arbitrary measure. Providing that often a story lies behind the statistics, Jorge Patricio Diaz has had to send 31.24 tweets to gain each of his 224 followers. I think this can be explained by his lack of a blog as posts are a great way to accumulate followers. And in fact, a blog – even one that is relatively inactive – can generate followers, as proven by Michael B. Smith’s growth of 50 followers in a period when his blog was out of action. Lies, damned lies, and statistics certainly comes to mind as I ponder on this data. I think that the biggest lesson is that the higher the quality of contribution in your tweets, the higher the quality of your Twitter experience as a whole. Feel free to follow any of the MVPs listed above. I’m sure they wouldn’t mind you affecting their statistics and rubbishing all my theories! This entry was posted in Technology and tagged HP Labs, Twitter. Bookmark the permalink.